Years ago I joined a local Interactive Fiction meetup group, a sort of book club-esque gathering of folks who are interested in text adventures and interactive fiction. I was nervous about going considering I had only recently delved into interactive fiction, but it ended up being quite lovely. It was nice to chat with folks face to face about such a niche medium, rather than the limiting format of social media. The game up for discussion at my first meetup was Anchorhead by Michael S. Gentry, a Lovecraft-inspired text adventure released in 1998. But even with those outside forces working against the game, I absolutely loved Anchorhead. 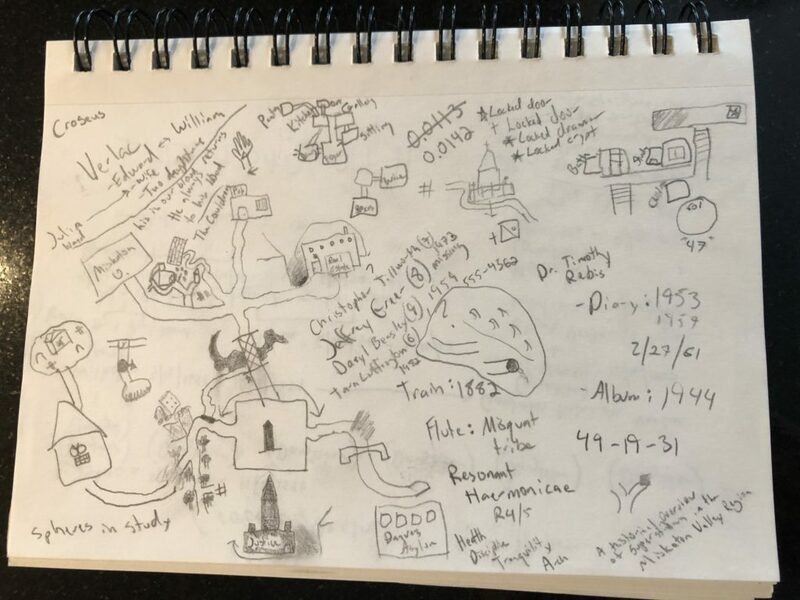 It had been a while since I played a game that required that I draw a map and keep a notebook of clues. Not that it’s essential to enjoying the game, but keeping notes helped build a sense of investigation as I explored the game’s sinister world. Plus it helped prevent vital clues from leaking out of my feverish brain. I won’t bore you with plot summary of the game, but that sense of investigation is something that Anchorhead does incredibly well. I’m glad I wrote clues down since when they all started to come together, I felted a tremendous sense of accomplishment. Years later, I saw a brief headline that a group of interactive fiction authors, led by Jenni Polodna and Ryan Veeder, were looking to build a game in tribute to 20th anniversary of Anchorhead. The game, named Cragne Manor, would be built in “exquisite corpse” style (what an awesome term) where each contributing author would design a room in the game. Each room would be self-contained with its own puzzles and story, as dreamed up by the individual author. The rooms would all be mashed together in a glorious mess of a final game. Jenni and Ryan had thoughtfully done extensive planning, offering different types of rooms for interested authors to tackle, which essentially varied in degrees of how much time you could invest in the project. You could design a room heavy on story and puzzles, or something very simple that would deliver a puzzle item or story thread that Jenni and Ryan had plotted out to give the game some semblance of continuity. Both of them have expressed a desire to do a post-mortem on the game, so rather than me continuing to clunkily explain their process, I’ll update this post whenever that goes live. “What fun! I loved Anchorhead!” I thought. I had no experience designing a parser game or with the game engine, Inform7, but I really wanted to join in the project. Well, so did over 80 other people. 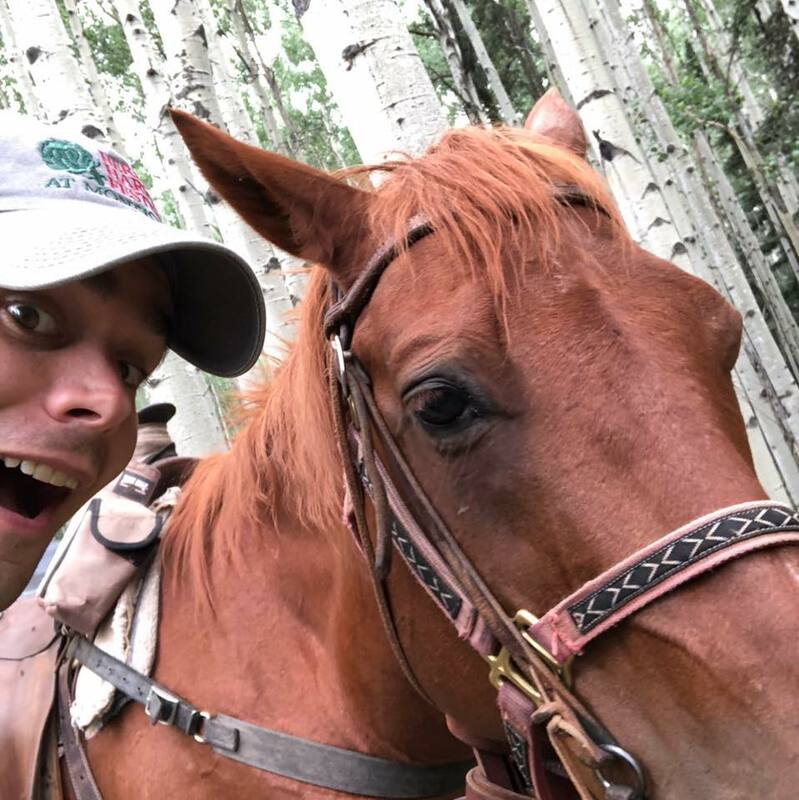 The trouble for me was that the rooms for Cragne Manor were due at the same time when I’d be on a big family vacation at a horse ranch in the mountains of Colorado with no internet. If I were to learn Inform7 and then design a room for Cragne Manor, I’d only have two weeks to do it. Me and my boy, Sasquatch. Thankfully, again, Jenni and Ryan were offering simple options for folks like me and all we had to do was submit what area of the “manor” we’d like our room to be in. I asked for the garden. So, I’m not sure what I said, especially considering that I’m a nobody on the interactive fiction scene and have never met Jenni or Ryan, but Ryan responded so enthusiastically that he’d prefer I not do a simple room, but one with a higher-degree of puzzles. Ah nuts. How could I say no? I should have said no. Thus began my crash course with Inform7, a very unique programming language with maddening idiosyncrasies that almost make me want to write a separate, ranting post. However, thankfully, the ranks of the Cragne Manor project had swollen to such large numbers that a special Slack communication channel had started where I was able to ask embarrassingly simple questions about Inform programming syntax. I wrote up a design document for my room and after realizing I’d never get it done in the time I had, I cut away most of my ideas. I got it done! This was such a cool project to be a part of. Over eighty participants! I’m still stunned at the comments in the Slack channel from authors I admire, giants of the interactive fiction field, complimenting my room as testing the final game went on. I *definitely* took screenshots of those compliments, saving them for staring-at on a day when I’m not feeling particularly appreciated or worthy. 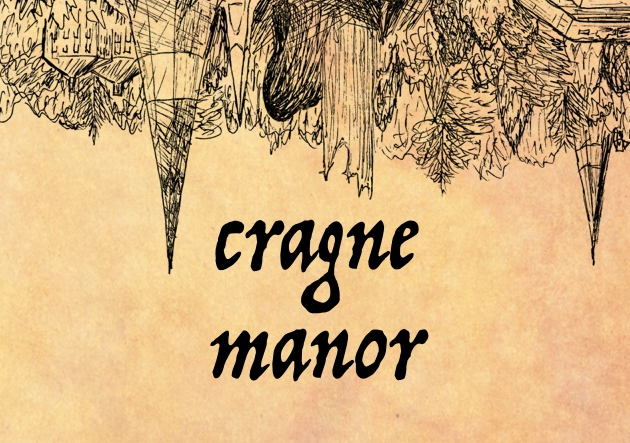 Please give Cragne Manor a try. It’s a glorious mess filled with ingenious puzzles and great writing. It’s a very hard game though, you’ll want to grab a few sheets of paper where you can draw a map and take notes. And if you get too burned out, you can always instead turn to Anchorhead, it’s an essential piece of interactive fiction.